Free Basics Fundamental 64 Card Workshop Pattern! We’re giving you more free patterns today! This time, instead of a scrapbooking layout, we’ve got a workshop for you and your friends to make 64 gratitude cards—8 cards in 8 designs—using our Basics Fundamental paper packet, which so happens to be on sale right now at 30% off! These patterns were originally introduced at our 2016 convention as part of a Fundamentals card workshop. We’ve simply updated the cutting diagrams and flat patterns and created some new cards with one of our favorite paper packets! Download the patterns above and let the cardmaking extravaganza begin! Try This Technique for Mixing Up Your Paper Combinations! If we’re going to talk about mixing and matching papers, we have to start by talking about our Fundamentals! In a nutshell, each of our color palettes has coordinating Fundamental papers, and these papers feature a variety of single-color paper designs. 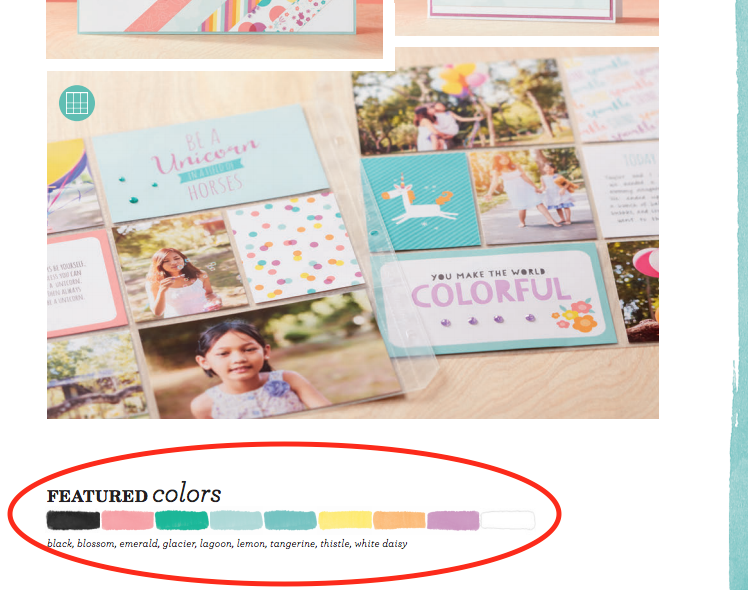 You can think of them the same way you think of cardstock: You have single-color patterns in each of our exclusive colors that you can use any time you are working with a given color. We’ve created the Fundamentals so that they can be used as both stand-alone paper packets and be mixed in with themed paper packets, like those in our seasonal idea books. If the thought of trying to mix your Fundamentals with a different paper packet makes you nervous, we’re here to walk you through it, step by step! Step One: Find the themed paper packet you want to work with. Let’s start with Little Dreamer as an example. Step Two: Look up the featured colors in this paper packet. They’re listed in a few places: on the zip strip at the very top of your papers, in the idea book, and on our website when you’re viewing the paper packet in online shopping. Step Three: Choose which color you want to add more of to your artwork. Then it’s as simple as finding that specific color in the Fundamental paper packets, and using that paper in your artwork! Not sure which colors are in each Fundamental paper packet? No problem! 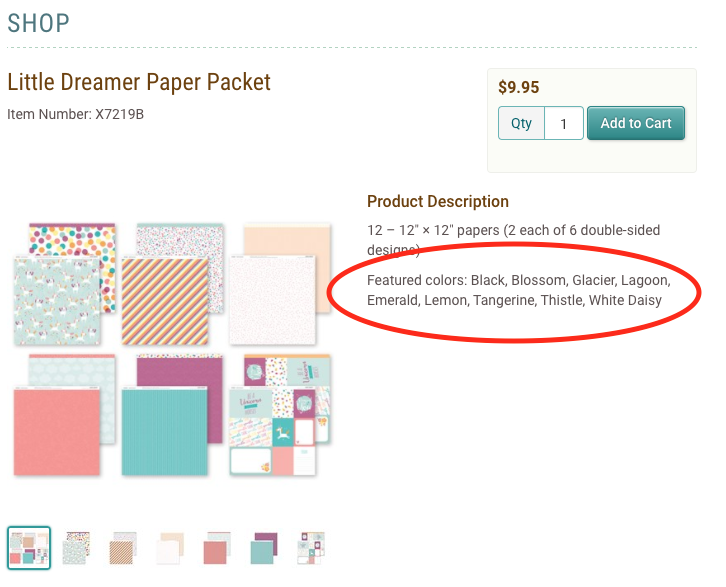 They are listed in your idea book and online, just like you can see with the Little Dreamer paper packet above! For example, let’s say you’re working with Little Dreamer. You see that Thistle is one of the featured colors, and you would like to add more of it to your artwork. Thistle is part of the Whimsy color palette, so you can pull out your Whimsy Fundamental paper packet, find the Thistle designs, and add them to the other papers you’re going to be using. Can you spot the Thistle Fundamental paper on this layout? It matches perfectly, right? There’s also Lagoon Fundamental paper here. Now you certainly don’t have to follow these steps to mix and match papers. You can always just grab patterns and colors that look good together (our artists do it all the time!). But if you haven’t tried going free-style before, or if just the thought of it is enough to scare you, following these steps is a good place to start. 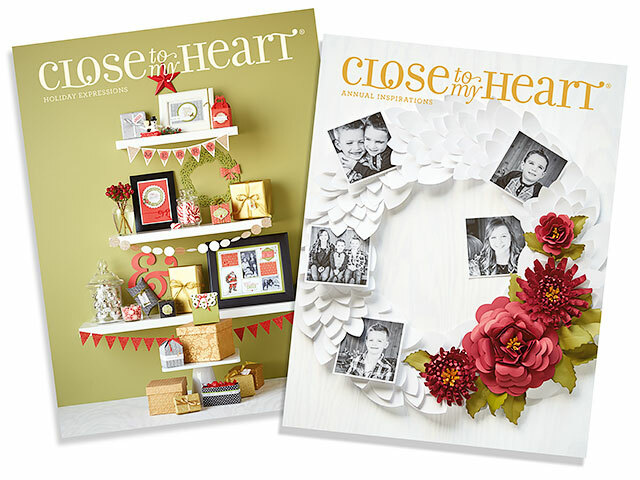 It’s finally September 1, and you know what that means—our brand new Close To My Heart Annual Inspirations and Holiday Expressions idea books are now available to the public! We’re elated to finally be able to brag about all the gems featured in these beauties! 🙂 Even though it was VERY difficult for us to narrow this down, we’ve taken it upon ourselves to create a list of 11 love-it, gotta-have-it crafting supplies from our new idea books. Here we go! This brand new product line is perfect for preserving your favorite social media memories or really any miniature keepsakes. We find the petite size of this line adorable! Add Instalife cards to the Memory Protectors™ for an extra pop of color next to your photos, or stamp on cute dates and messages using our Instalife roller stamps. 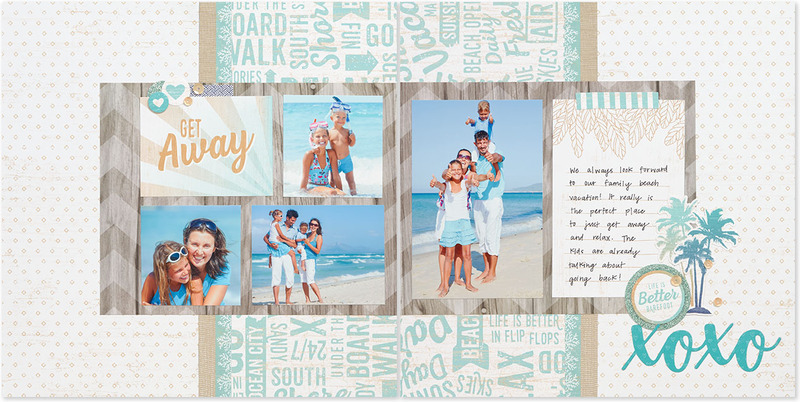 This line is extremely versatile, letting you create an album that’s just right for you! Every crafter knows how nice it is to have items that color coordinate. Our Paper Fundamentals match our exclusive colors perfectly to make paper pairing a cinch. Along with updated colors and patterns, this line now also includes Fundamental Stickers Packs and Assortments! You’ll find color-coordinated tags, icons, and titles, as well as letter stickers you can use for putting things into your own words! Embellishing and accessorizing has never been so easy! 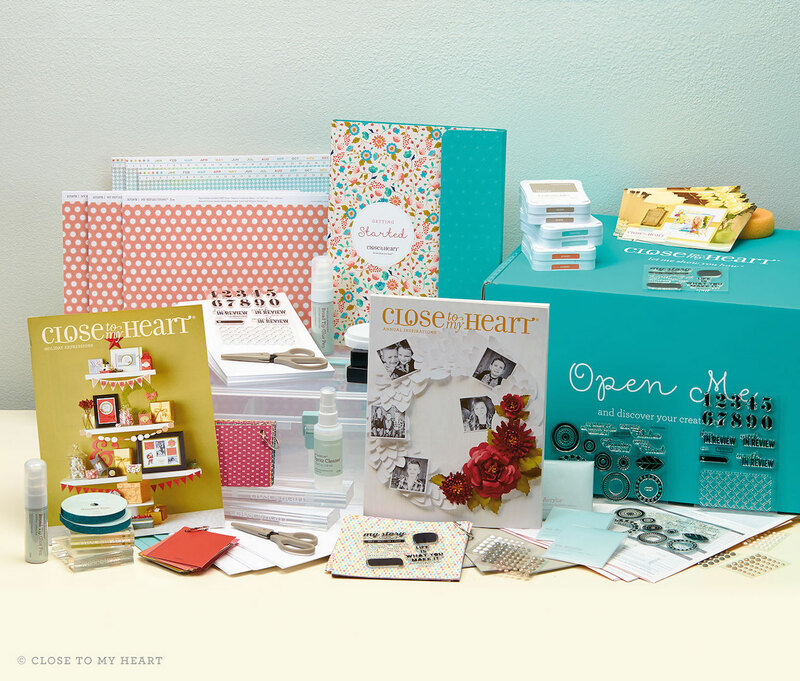 Our Picture My Life™ pocket scrapbooking line makes catching up on scrapbooking quick and easy. 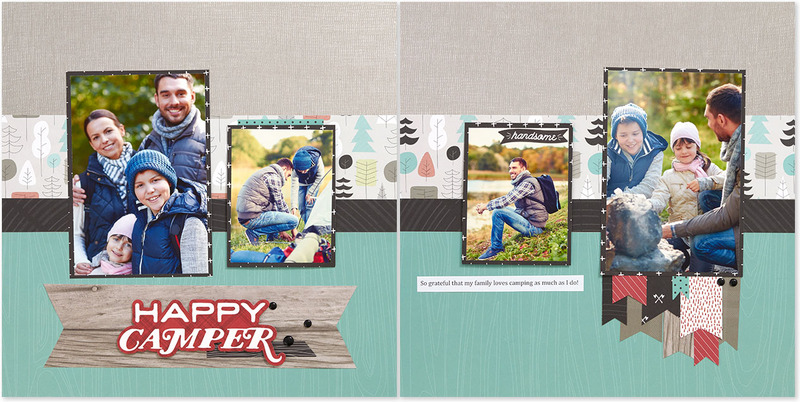 In our new Annual Inspirations book, we now have beautiful overlays to add a touch of foil or else an eye-catching pattern to your photos without having to stamp directly onto the photos. 5. My Legacy™ Albums…and new posts! 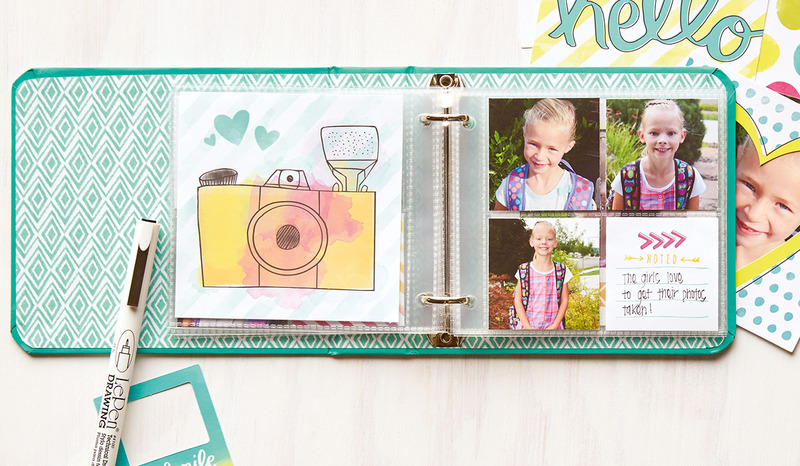 Creating beautiful layouts for your favorite memories is important, but so is choosing a beautiful album to store those layouts! We love our high quality My Legacy™ albums because they protect our memories in style! Since each album tells a different story, we provide both 1 ½” D-ring albums and 1 ½” post-bound albums in a variety of patterns. 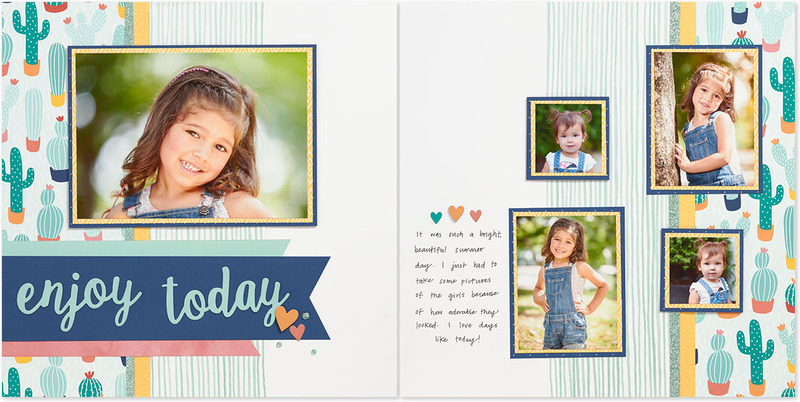 For slightly shorter stories, use our brand new My Legacy™ 1″ Album Posts to keep your layouts perfectly nestled between the protective album covers. 6. My Acrylix® Etched Alphabet Stamp Set You can never go wrong with a monogram, which is why we’ve created the My Acrylix® Etched Alphabet stamp set. 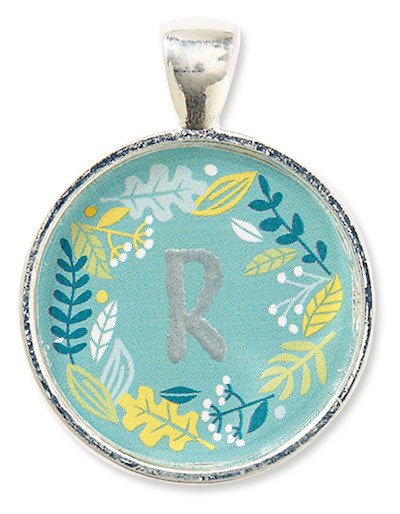 It’s the perfect size for adding a monogram to our Base & Bling pendants. Create several monogrammed pendants for an easy go-to gift— because honestly, who wouldn’t want to wear an adorable monogramed bit of bling? Don’t you hate it when you remember an occasion last-second and you desperately need a card? 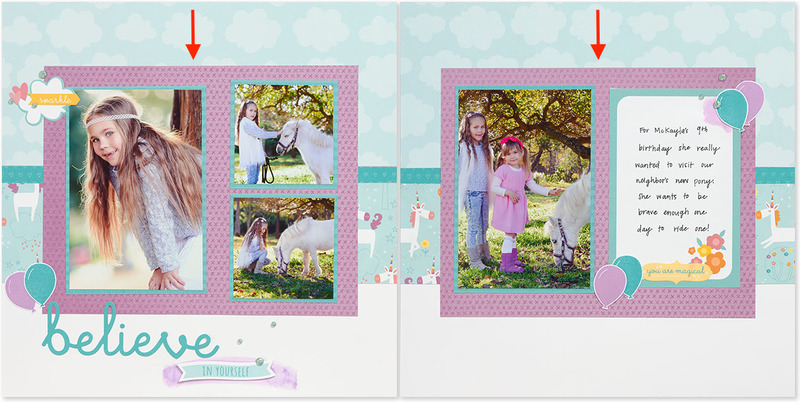 Our new Cut Above™ card kits are perfect for these exact situations. Taking only moments to put together, these card kits are absolute lifesavers, as well as easy on your wallet! We know that crafters tend to collect quite a few items (it’s okay, we do, too 🙂 ). Keep the clutter at bay with our brand new marker and accessory roll-ups! The marker roll-up is designed to hold our ShinHan™ Touch Twin™ markers to make transportation and horizontal storage easy, and our accessory roll-up can organize anything from Base & Bling items to embellishments and accessories. As always, new idea books mean new paper packets! And we’ve got 8! This year, we will also be spotlighting one or two paper packets each month on social media. Zoe and Nevermore have already claimed the month of September. 🙂 Use our featured paper packet hashtags to share your artwork during the featured month, and look at other crafters’ artwork by entering these hashtags in the search bar of any social media website or app—especially Facebook and Instagram. All of our featured paper packet hashtags are #ctmh followed by the name of the paper packet: #ctmhzoe #ctmhnevermore. When someone decides to join our family by becoming a Close To My Heart Consultant, they receive a New Consultant Kit full of goodies to start off their business. Well, this is the NEW New Consultant Kit, and isn’t she a beauty? We want you to inspire you from day one, so we’ve revamped this kit to make it as handsome as it is helpful. And there you have it, folks! That’s the list! Now come’s the tricky part—figuring out which one of these 11 products you’ll purchase FIRST! Good luck! To begin shopping, visit your Consultant’s OBA or find a Consultant in your area by visiting our website and clicking on the “What We Do” tab at the top of the page.